People living with HIV have high rates of mental health problems, especially depression. Accessing adequate mental health care can be challenging, especially in low- and middle-income countries where large numbers of people with HIV live. Mobile technology-based health, or mHealth, interventions have been shown to improve health outcomes; but evidence is limited on the use of mHealth in addressing mental health problems associated with those suffering from HIV. More than 740,000 individuals with HIV in China are stigmatized and socially isolated, which can contribute to mental health issues like anxiety and depression. However, approximately 95 percent of Chinese adults have mobile phones, making mHealth a promising solution to deliver mental health services to this vulnerable population. Dr. Alicia Hong, associate professor in the health promotion and community health services department and co-director of the program on global health research at the Texas A&M School of Public Health, joined colleagues from Sun Yat-sen University in Guangzhou, China in conducting two studies related to developing a new mHealth intervention for people with HIV in China. First, Hong and colleagues completed a pilot study intended to see whether an mHealth intervention focusing on mental health in people with HIV would be feasible and what sorts of issues should be considered. Their second study involved a randomized controlled trial of their newly developed mHealth tool, Run4Love. In a recently published article in the Journal of Medical Internet Research mHealth and uHealth, Hong and colleagues describe the results of a pilot mHealth intervention in which individuals with HIV received stress reduction strategies and health lifestyle interventions on WeChat, a popular Chinese social media platform, plus weekly text message reminders. The research team tested this intervention with a randomized controlled trial among 62 individuals. For 12 weeks, Hong and colleagues collected data on the feasibility, accessibility and feedback from users on how to improve this mobile tool. The findings of this study led Ms. Hong and colleagues to refine their mHealth intervention to produce a new protocol focusing more on mental health outcomes, adding multimedia and interactive functions, and the ability to track user engagement and personalized feedback. The new WeChat-based intervention, Run4Love, aimed to reduce stress, anxiety, depression and improve the quality of life for those with HIV. To test the new mHealth intervention, Hong and colleagues designed a large randomized controlled trial with 300 individuals with HIV with follow-ups at 3, 6 and 9 months. Half of the participants received the Run4Love intervention, the other half were given usual care. The researchers used validated scales to measure depression and quality of life and collected hair samples to measure cortisol levels to measure chronic stress. The Run4Love intervention protocol and the randomized controlled trial design were published in the journal BMC Public Health. 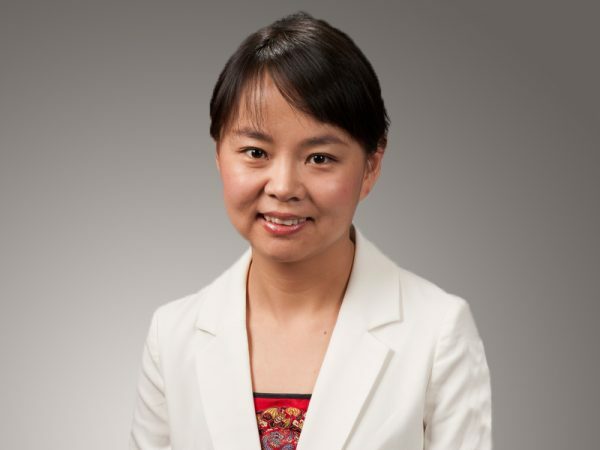 “To the best of our knowledge, this is the first mHealth intervention for people living with HIV in low- and middle-income countries being evaluated with a large sample randomized controlled trial and biomarkers,” said Dr. Hong. September 27, 2018 "Washington Takes Part in Breakthrough Study to Identify 535 Genes that Influence Blood Pressure" September 27, 2018 "Harvard: Gökhan Hotamışlıgil Wins Prestigious Diabetes Research Award"